Where’s Wally? 30th Anniversary Edition is everything you want it to be and more. It has all the old favourite scenes: town square, beach, ski fields, camping trip, zoo and many more. But for this special edition, you also get a bonus scene that is a little bit different and a whole lot of fun. And after you’ve found Wally, Wenda, Wizard Whitebeard, Woof, Odlaw and the Wally-watchers, there are additional checklists at the back of the book with many more things to find in each scene, something I never noticed as a child. There are literally hours of fun within these pages. And, of course, Martin Handford's illustrations are amazing and awe-inspiring. The pages are jam-packed with people, animals and creatures from the past, present and future, and I thoroughly enjoyed exploring all the details. It was a particular joy to share the experience with my three-year-old daughter, who delighted in pointing out funny situations and characters. I also learnt something that had often puzzled me as a child. Turns out that while Wally’s dog Woof is hiding in all the scenes, it is only his tail that is ever visible. Perhaps that explains why I never did find him. Maybe. 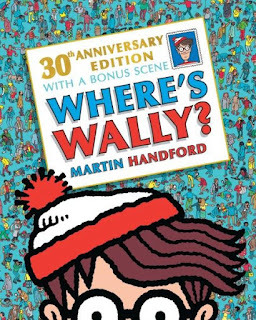 I am delighted to say Where’s Wally? loses none of its magic when you grow up. It can be enjoyed alone or with others, and it can be relished by all ages as it offers a variety of challenges with different degrees of difficulty.